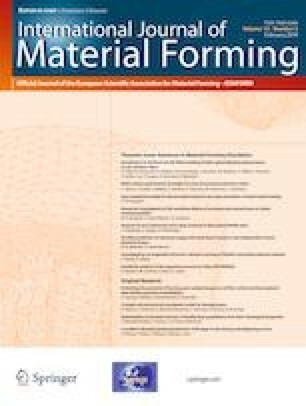 The optimization of extrusion of energetic materials is a complex topic that requires the knowledge of the material behaviour in the processing conditions selected for this forming process. During the rheological characterization of multi-base colloidal propellants (nitrocellulose gels), certain mechanisms, such as apparent wall slip and loss of solvents, provoke a significant distortion on the rheological results. Although there are some specific procedures based on correcting the wall slip or quantifying the rate of solvent evaporation, this work provides a new analysis of these phenomena for double-base gelled propellants that can help to improve the rheological characterization of these materials. In the present work the concept of “transition layer” is introduced for describing the migration effects related to the loss of solvents that are originated inside the material sample, which provides a better understanding of the viscoelastic response of these concentrated suspensions when rotational rheology with parallel plate geometry is applied. In addition, the control of the normal force exerted during the rotational rheology testing is assumed in this work to analyse the influence of the above-mentioned mechanisms. This analysis of the rheological behaviour of these energetic materials is the basis for the modelling and optimization of the extrusion process, though a deeper knowledge of specific mechanisms of the propellant doughs visco-elasto-plastic response inside the extrusion channels must be developed. The researchers acknowledge the support of the Spanish Ministry of Economy and Competitiveness and the European Commission throughout the ERDF (European Regional Development Fund) by the INNPACTO research project “Smart Propellants” (IPT-2011-0712-020000), involving EXPAL Systems S.A. and the Universidad Politecnica de Cartagena (UPCT).